The Milwaukee Brewers are back in the Postseason for the first time since 2011 after capturing the NL Central Division! 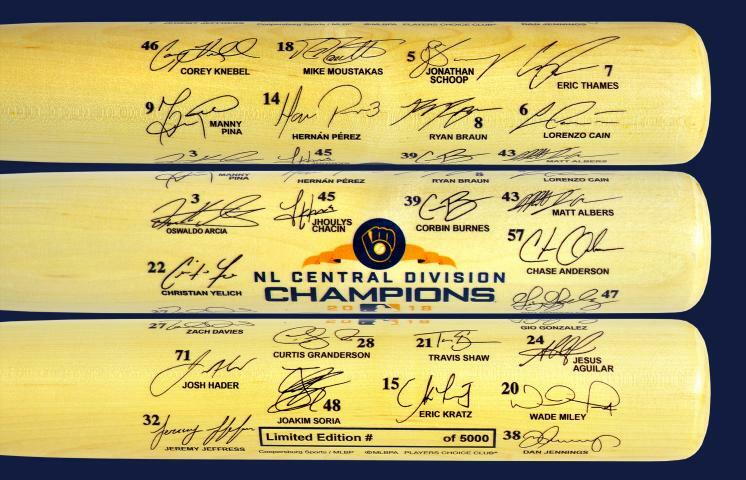 We are proud to offer Brewers fans this limited edition Full-Size Team Signature Bat to celebrate the team's 2018 NL Central Division Championship. 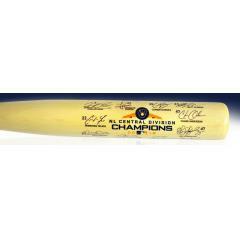 These full size bats feature the facsimile signatures of the members of this year's team, the team's division championship logo, and makes a nice addition to any collection. Order yours before they are gone.